Croatia is a land of thousands of beautiful islands and islets. You can find a vast offer of accommodation on Croatian islands: hotels, apartments, private houses, vacation villages, camping, bungalows, and many others. Choose one and discover the magic of Croatian islands! 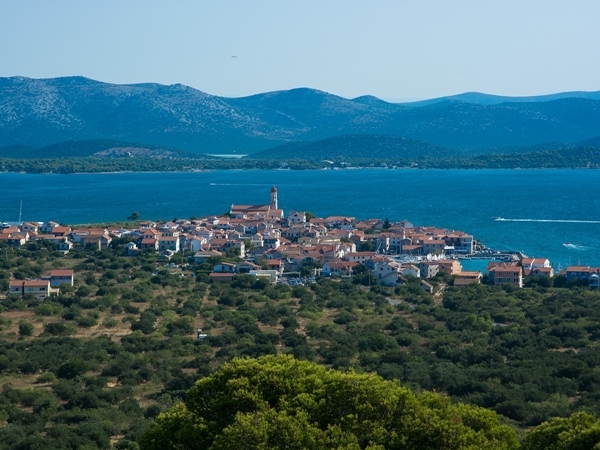 Brijuni islands is made out of 3 main islands and 12 islets located in the south of Istria. What makes this location special is thriving mediterranean vegetation as well as a safari park where many exotic animals live. You can choose to stay in hotel Istra*** or in one of the neighboring depadance buildings: Neptun** or Karmen**. You will reach Brijuni from the port of Fazana, a beautiful fishing village with many restaurants and bars to offer. In front of Rovinj you will find the so called Red Island, or St. Andrews island where you can choose to stay either in Island hotel Istra**** or in Island hotel Katarina***. 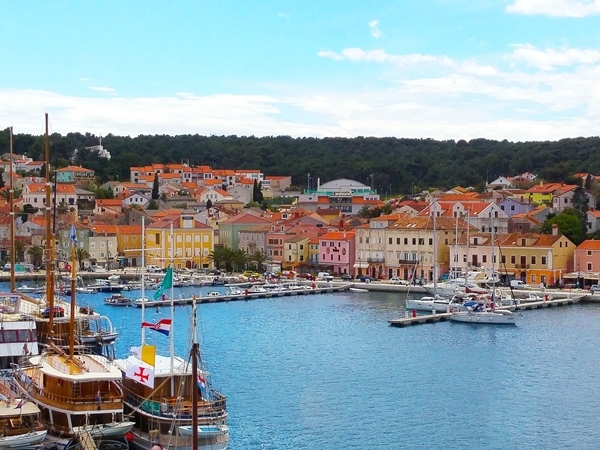 The island of Krk - the largest island in Croatia, is connected by bridge to the mainland. It is known for its Frankopan castles, as well as the Baška Tablet, the first written document in Croatian. We strongly suggest you stay in hotel Corinthia*** in Baska, or tourist resort Lavande*** in Malinska or visit town Omisalj and stay in hotel Adriatic** with its depadance Marina/Primorka**. 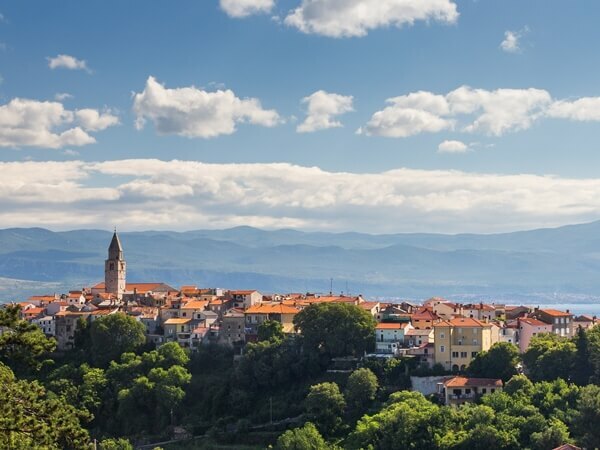 Thanks to its ideal location in Kvarner region and bridge connection to mainland this island is easy and fast to reach. Less worrying about traveling, more enjoying the experience! 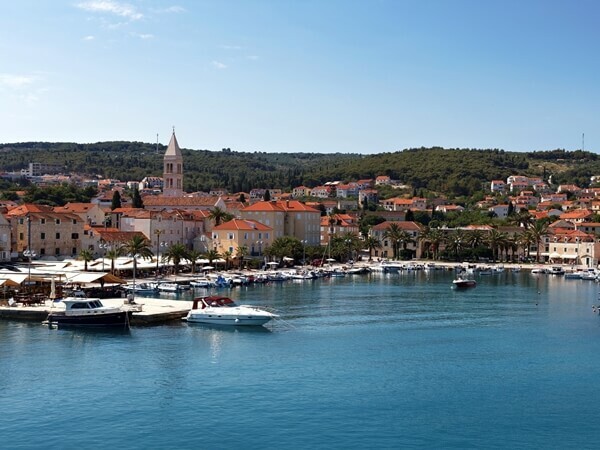 The island of Lošinj - is an island in the Kvarner known for its beautiful coral reefs, thick pine forests, and clean sea which is frequently visited by dolphins. Lošinj is a destination of choice for divers thanks to its thriving sea life, and many shipwrecks from ancient times. Over 1000 of medicinal herb speciments were discovered on the island by famous Prof. Haračić. As fot the accomodation take a look at family hotel Vespera****, wellness hotel Aurora**** and luxorious hotel Bellevue*****. Combine premium class accomodation with the amazing Lošinj climate and you get the destination like this one. One that is definitely hard to forget and easy to be fond of! 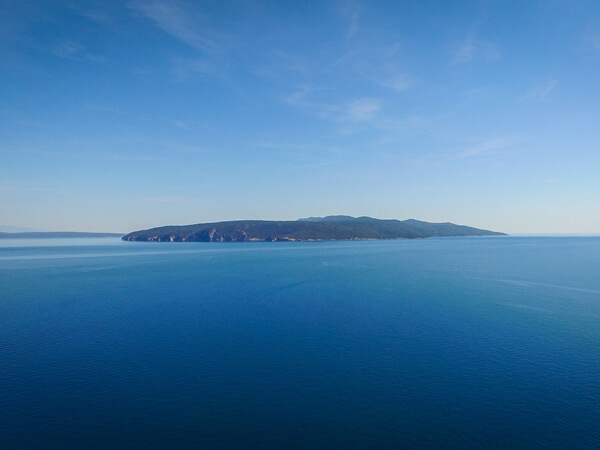 The island of Cres - is an island in the Kvarner known for its ancient walls, Valun tablet in glagolitic script while being a home to the endangered Griffon Vulture. We reccomend you stay in hotel Kimen*** or its depadance Kimen***. Both buildings are located close to the sea and offer lovely accomodation for a fair price. Apart from hotels there are many private apartments to rent accross the island. The island of Pag - the island of Pag is best know for its world famous cheese and Pag doily. Two of the largest towns are Pag and Novalja. 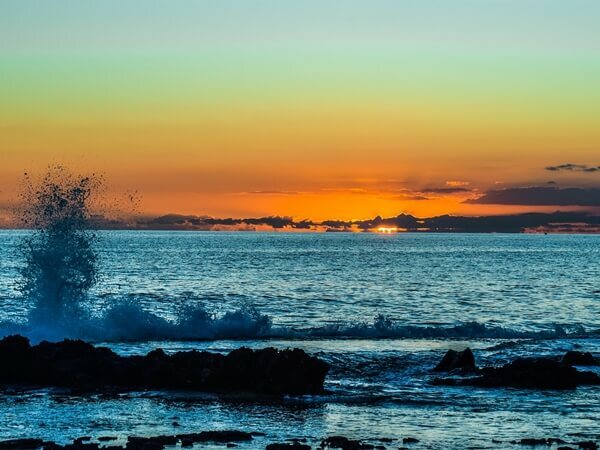 In summer Novalja, with its beach Zrće is the center of nightlife on the island.Hotel Pagus**** is an amazing hotel in town Pag any offers everything needed for a perfect vacation on this amazing island. Aparthotel Belveder*** is a more affordable option located right next to the sea. For those who want to stay in a resort, we reccomend you check out tourist resort Gajac*** which is an ideal place for families due to its apartments equipped for 4 people. 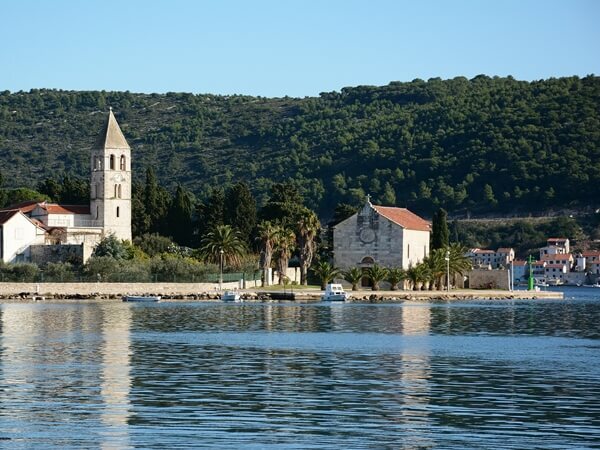 The island of Rab: The north of the island is barren because of the strong wind called Bura while the southern part of the island is known for its rich mediterranean vegetation. Town Rab is best known for the four church bell towers which became the symbol of the town and island. Everybody who wants to visit the island and stay there while not spending too much we reccomend hotel Eva** surrounded with lush vegatation or hotel International***. The latter is located in the center of town Rab. Hotels Arbiana****, Imperial**** and Padova**** are crowned with 4 stars and offer amazing experience on perfect spots. Tourist resort San Marino**** is a great pick for families with children as it is located next to the very long sandy beach. Kornati archipelago is a unique set of mediterranean islets with such beauty that attracts visitors from all over the globe. The islets are mostly uninhabited but those who do live there mostly work with olive oil or sheep. 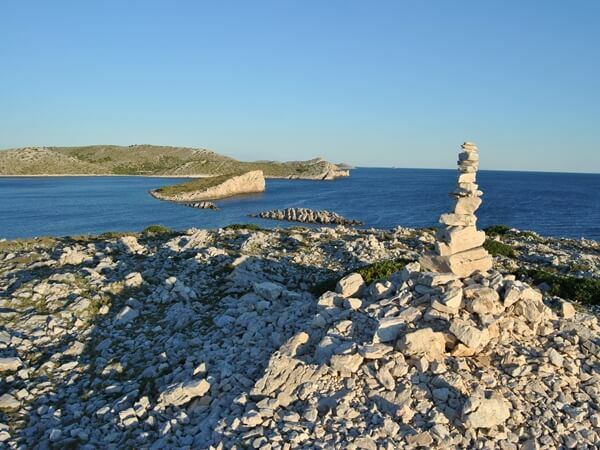 Close to kornati you will find a protected place of unheard beauty - nature park Telaščica which covers bigger part of the island as well as a bay in neighbouring Dugi otok island. Part of it is a small saltwater lake which is a great spot to take amazing photos. Hotel-wise there are no hotels on kornati but you will find some on the adjacent Dugi otok island, like hotel Maxim**** loacted only 10m from the sea. Galešnjak - Small heart shaped Island situated in Pasman channel has become a hit destination for lovers around the world. The untouched mediterranean vegetation and blooming underwater life are a perfect example of the Adriatic beauty. A perfect location for a snorkeling tour! The island of Murter - Located at the entrance to the Kornati Islands, Murter is an attractive spot for yachtsmen, and all lovers of quiet relaxation. Murter has a large number of sandy beaches along its coastline (Čigrađa, Slanica, Podvrške...), as well as numerous interesting destinations in its vicinity (the national parks: Kornati, Paklenica, and Krka). Next to the village Jezera you will find tourist resort Jezera Village*** which offers different apartments and bungalows to choose from. Those who want to try something different and truly amazing should definitely spend their vacation in the apartments of Prisnjak Lighthouse. The island of Hvar is the sunniest Adriatic island, traditionally known for its lavender fields. 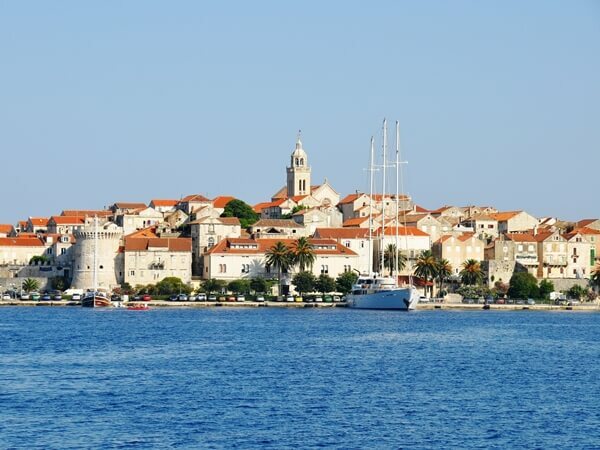 In terms of tourism island of Hvar is one of the most popular island destinations in the world. If you want to spend your holidays in a resort right next to the sea be sure to check out tourist resort Velaris*** in town Supetar. If you would rather spend your time in a hotel take a look at hotel Pharos*** in town Hvar as well as Adriatiq hotel Hvar*** in town Jelsa. Both are a great example of a great 3* hotel. For those who crave some more luxorious hotels we suggest you book your holidays in hotel Amfora**** located in the middle of a gorgeous bay or hotel Adriana**** located on the seafront of town Hvar. 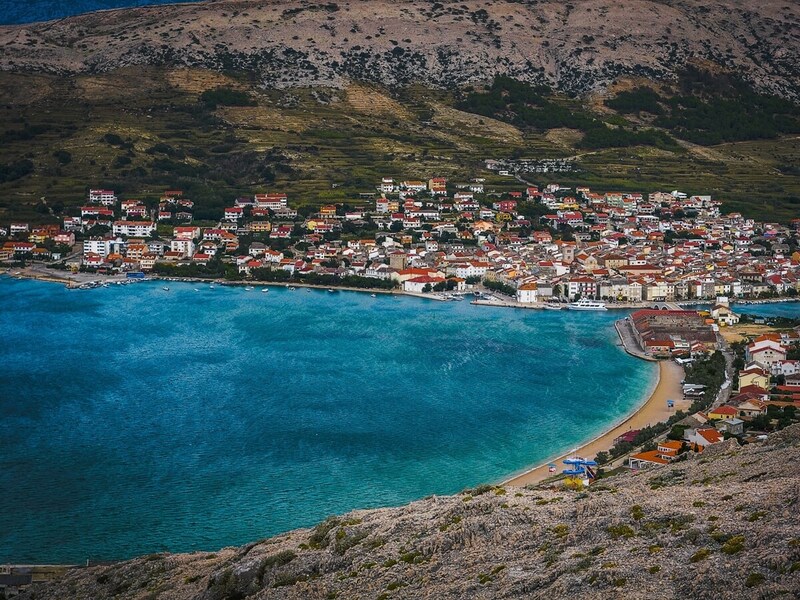 The island of Brac - an island known for its white marble, pinewoods, and olive groves. 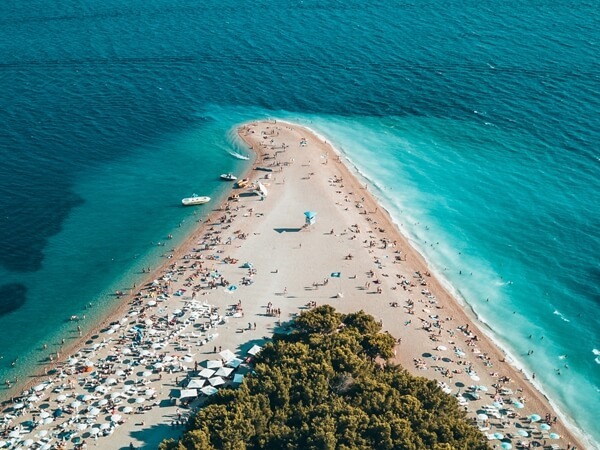 On the island there is a famous beach Zlatni rat, known for the fact that it changes its shape due to the change of currents and waves. In town Bol where that beach is you will stumble upon Bluesun hotel Borak*** located right next to the crystal blue sea and long beaches. Close to it lies Bluesun hotel Elaphusa****, an amazing 4* hotel. If you will be visiting town Brač make sure you stay at Bluesun hotel Bonaca*** because it offers the best price/experience ratio. 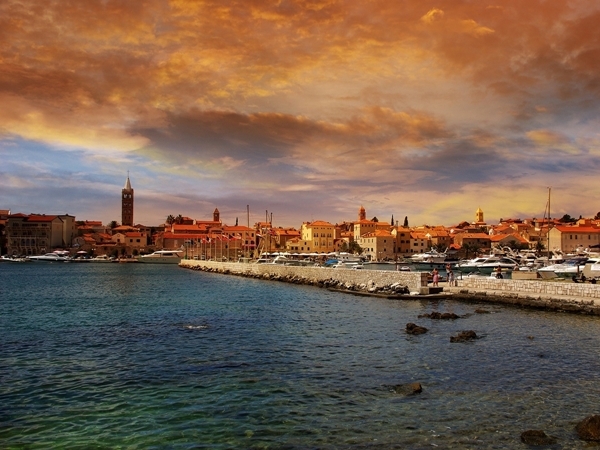 The island of Vis - an island known for its monuments and historic sights. Not to forget the blue Cave named so after the blue that is there present when the sunlight enters the cave through a crack in the rocks. The island itself is quite limited when it comes to hotels but the best experience lies in the island itself, not the place where you sleep. The island spent half a century in isolation which created a place like no other. Hotel Issa*** is located right next to the sea and is a great place to spend your holidays in. 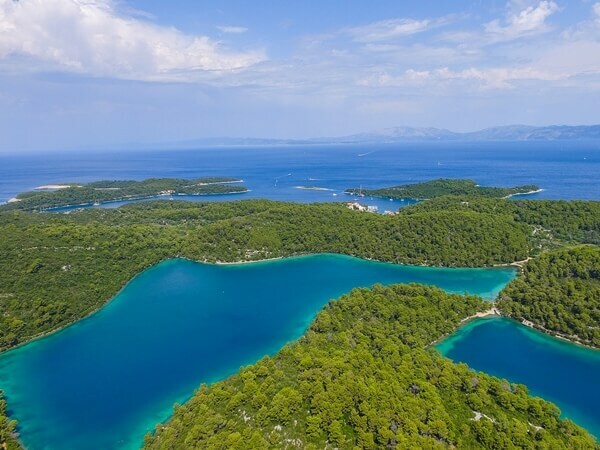 The island of Mljet - an island known for its thriving sea life, the national park situated on the west side of the island. Lush vegetation, beautiful rocky coastline, hidden coves, picturesque villages and amazing underwater sights.. those are just some of the reasons to visit this amazing place. We offer total 6161 facilities.